From selection to proper storage, there are a number of advantages to buying your hearing aid batteries from a health care provider compared to a retail store or pharmacy. 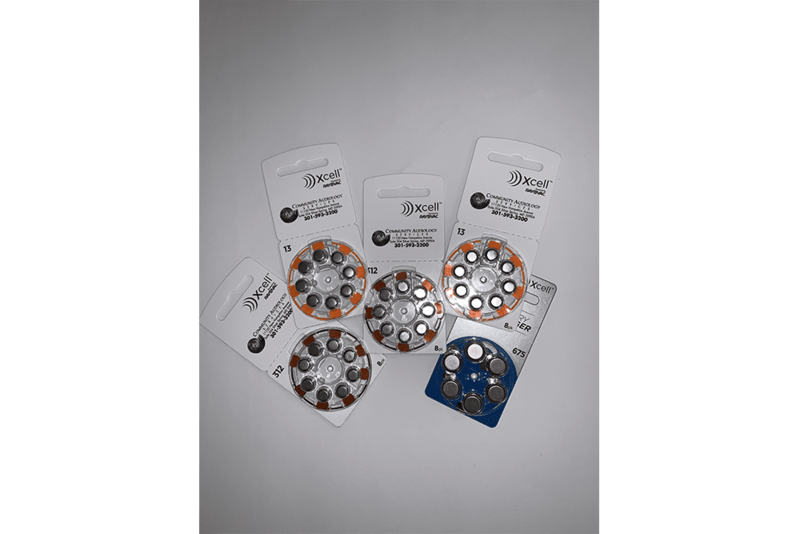 At Community Audiology Services in Silver Spring, Maryland, Dr. Patricia Randolph offers a full assortment of fresh, properly stored hearing aid batteries to ensure you can always purchase the correct one for your device. To replace your hearing aid batteries, call Community Audiology Services or schedule an appointment online today. What brands of hearing aids are available? Community Audiology Services offers full-service hearing aid repair and sales of a variety of hearing aid brands including Oticon, Resound, Signia, Starkey®, Unitron, and Widex. Offering hearing aid repair is just one way Community Audiology Services provides exemplary patient care. Repairs may include replacing, adjusting, or repairing parts as needed. Repairs are scheduled and processed promptly. There are several types of rechargeable battery options on the market but the most common hearing aid battery type is the disposable zinc-air battery. This type of battery is activated when exposed to air. A factory-sealed sticker keeps the battery inactive until the sticker is removed. Once the factory-sealed sticker is removed, the battery will remain active until all its power drains. Re-affixed stickers do not stop power draining from the battery. Therefore, stickers should not be removed until the patient is ready to use the battery. Do hearing aid batteries come in different sizes? There are several sizes of hearing aid batteries that power specific types of hearing aids. Typically, the smaller the hearing aid, the smaller the hearing aid battery. Smaller batteries mean less power so the batteries need to be changed more often. For easy identification, batteries are color-coded and are listed below from largest to smallest. On average and assuming 16 hours of use per day, a hearing aid battery can last anywhere from 5 to 14 days. Hearing aid battery life depends on batter size, power needed to run the hearing aid, and the amount of time the hearing aid is used. Dr. Randolph works with her patients to ensure that their hearing aids are functioning properly to optimize battery life. She suggests ways to extend battery life. Turn off the hearing aids when not in use. Leave the battery compartment door open overnight to release any moisture buildup. Keep batteries from coming in contact with metal objects like coins or keys. For more information on hearing aid batteries and regular maintenance or repair call Community Audiology Services or schedule an appointment online today. Where can hearing aid batteries be purchased? It is important to purchase batteries that have been stored properly. Length of time in storage or “on the shelf” reduces battery life. Batteries purchased from a retail store may have had their freshness compromised by the amount of time they have been stored. Community Audiology Services in Silver Spring, Maryland offers a full assortment of fresh, properly stored hearing aid batteries to ensure optimal hearing aid performance. To replace hearing aid batteries, call Community Audiology Services or schedule an appointment online today. For more information on hearing aids, call Community Audiology Services or schedule an appointment online today.